Thank you for your interest in Our Courts Arizona. Our Courts Arizona is an interactive civics program aimed at adult groups. Our Courts Arizona uses easy to understand, non-partisan, interactive sessions. They are taught by current and retired judges who engage the audience and provide information about the importance of fair, impartial, and accessible courts and the rule of law. What is Our Courts Arizona? Think of it as a refresher. Each day, we read and hear stories about government or legal issues, but we may have forgotten some of the cornerstones of our democratic form of government, our rights, and the importance of separation of powers. The Our Courts Arizona programs are designed to address these issues in an interactive way and to encourage further thought and discussion about the topics addressed. No. Sure, a judge starts off the Our Courts Session with an overview, but these programs are designed to engage the audience and to encourage robust discussion during and after the programs. Participants will learn about and discuss the three branches of government, separation of powers, additional detail about the judicial branch of government, equal justice under the law, and the meaning and importance of fair and impartial courts. Participants will learn about and discuss how judges are selected and the various ways judges are held accountable. Participants will learn about and discuss the factors and constraints that affect how judicial decisions are made. Participants will learn about and discuss what "the rule of law" means. What is a law? How is it created? What are the important principles and characteristics of the rule of law? What is the court's role in upholding this concept? Participants will learn about and discuss the first ten amendments to the United States Constitution, collectively called the Bill of Rights, and the role courts play in protecting those rights. What size group is best? Although any size group is appropriate, a group of 20 to 50 participants is best. Larger groups are okay too, but the opportunities for meaningful individual participation are fewer with big groups. Our presenters will work with YOUR time frame. To get the most out of the interactive dialogue, 30 to 60 minutes is best. Be assured that each program can be tailored to your audience's needs. What equipment is needed for the program? Can I ask the judge about specific cases or legal questions? These sessions are designed to provide general educational material about the structure of government, the rights of people, and cornerstones of our judicial system. 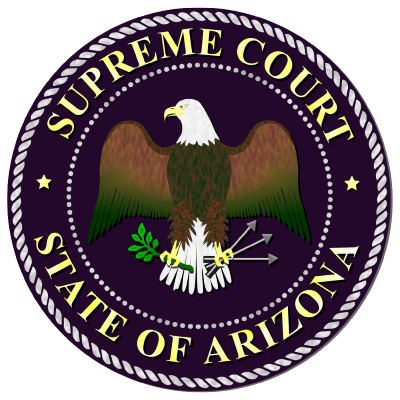 A judge will not discuss current or former cases from his/her court unless specifically relevant to the Our Courts Arizona materials. Judicial ethics rules prohibit judges from offering legal advice. Do you provide refreshments and food? Unfortunately, no, Our Courts Arizona does not provide food or beverages for these programs. Your local judges volunteer their time but it's up to the hosting group whether food or beverages are provided. How do I schedule an Our Courts Arizona program? Please choose your county on the online form below. There is a place to fill out a request for a speaker and select the program. Provide as much detail as possible about your group. A contact from your local county court will follow up with you to finalize details and schedule the program. I am not ready to book a program yet, but would like more information about Our Courts Arizona. Please send an email to GGoltz@courts.az.gov. For your convenience a pdf. form is also available here. Please describe your organization and include website. Limit to 500 words. Please list a few tentative dates that your group is available for a presentation. Enter NA if that information is not available. How did you learn about Our Courts Arizona?